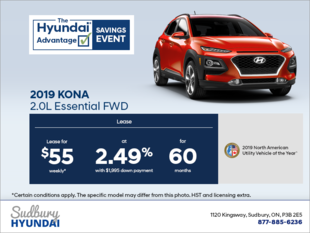 The special offers at Sudbury Hyundai are designed to help you save in more than one department. 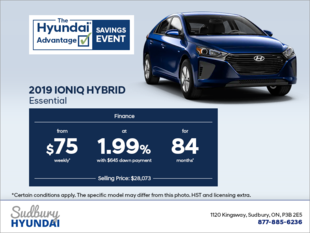 Whether you’re in the market for a new or pre-owned Hyundai vehicle or looking to have your vehicle serviced at our state-of-the-art service bays, the special offers at Sudbury Hyundai are here to help. 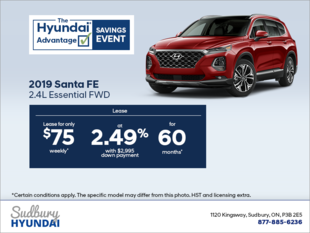 When you visit Sudbury Hyundai for your next Hyundai vehicle, you can be sure that our special offers will help you save. Our offers are regularly updated, so if there isn’t an offer for you, you can be sure that we might have it the following month! 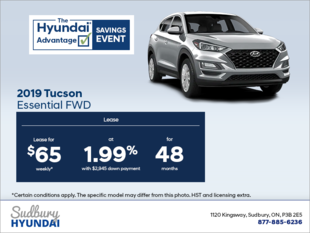 Our special offers are designed to help you save, from discounts on purchases to low financing rates. 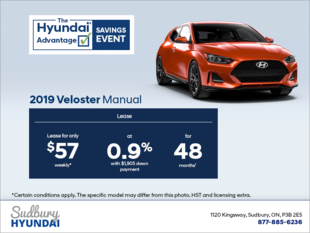 Our special offers can be applied on our large inventory of quality pre-owned vehicles as well. When you visit Sudbury Hyundai for your next pre-owned vehicle, don’t forget to check our special offers first. 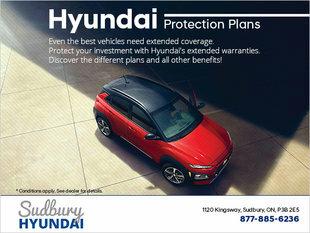 The special offers at Sudbury Hyundai are designed to help you save on after-sales services as well. 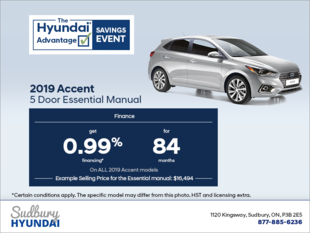 Whether it’s a discount on certain parts or an advantageous maintenance package, our special offers will help you save. 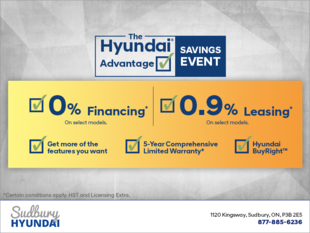 Visit Sudbury Hyundai today and see how our special offers can help you save.